A philosopher and his disciple journey to find the best of all possible worlds in this classic work of eighteenth-century satire. 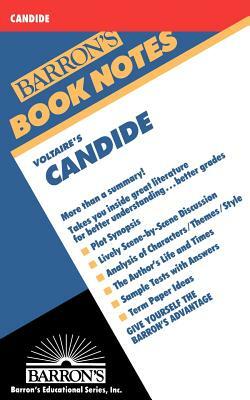 EACH ENRICHED CLASSIC EDITION INCLUDES: - A concise introduction that gives readers important background information - A chronology of the author's life and work - A timeline of significant events that provides the book's historical context - An outline of key themes and plot points to help readers form their own interpretations - Detailed explanatory notes - Critical analysis, including modern perspectives on the work - Discussion questions to promote lively classroom and book group interaction - A list of recommended related books and films to broaden the reader's experience Enriched Classics offer readers affordable editions of great works of literature enhanced by helpful notes and insightful commentary. The scholarship provided in Enriched Classics enables readers to appreciate, understand, and enjoy the world's finest books to their full potential.